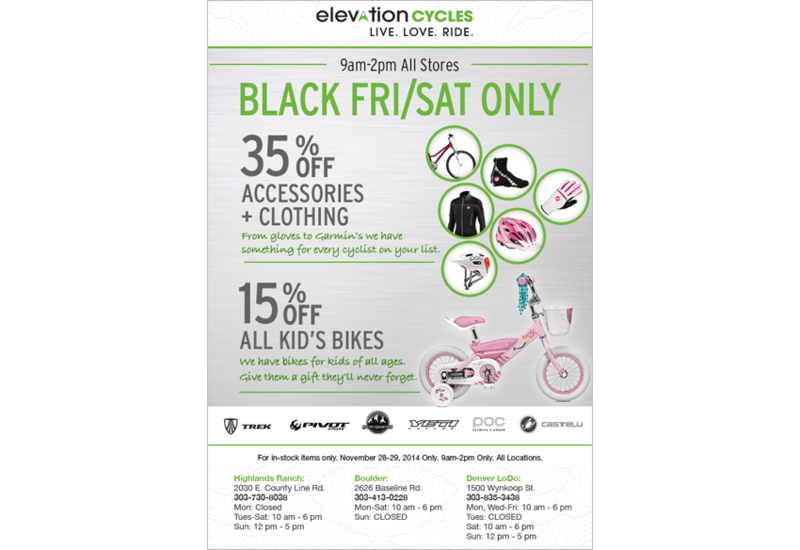 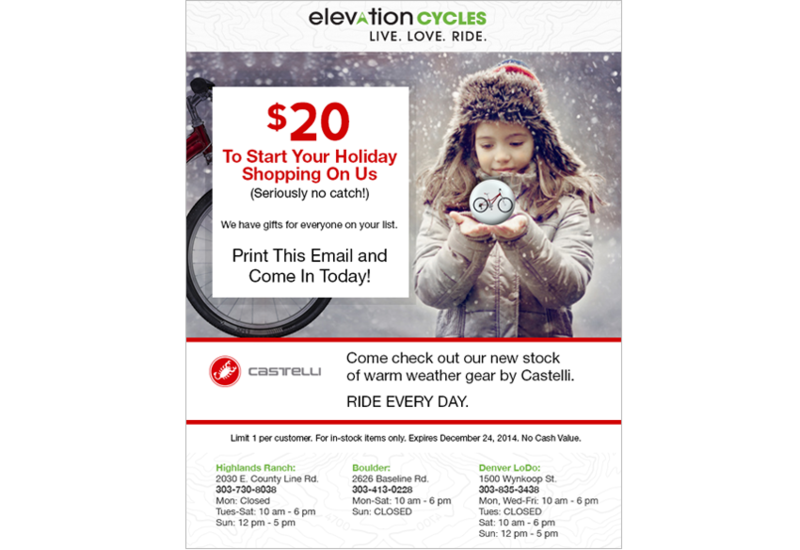 Elevation Cycles is a local bike shop located in the downtown Denver and Highlands Ranch, a suburb south of Denver. 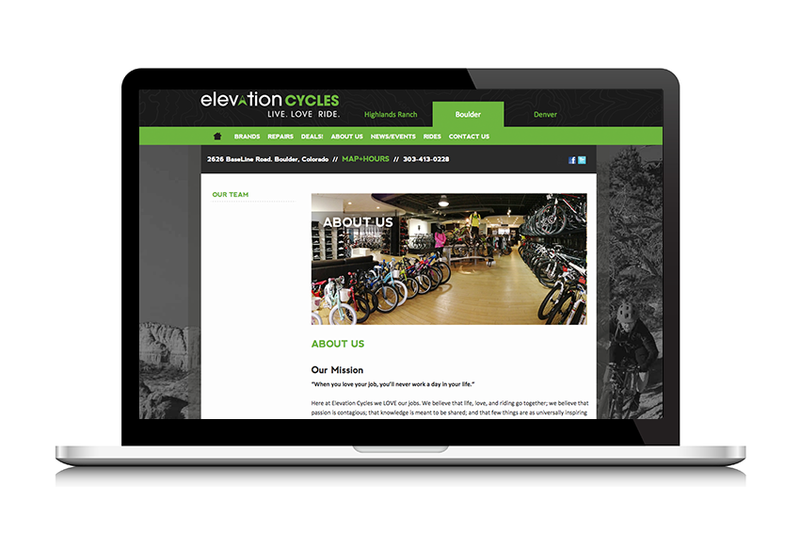 Shortly after Nick Howe, owner, had just purchased the Highland Ranch bike shop formerly known as the Bike Pedlar, I was hired to work on a new website. 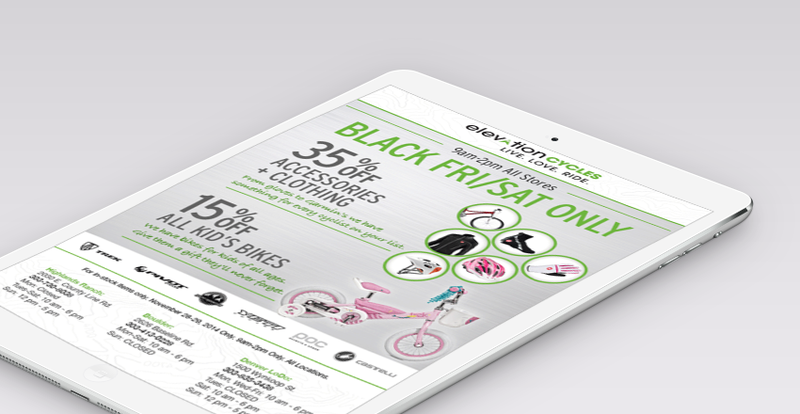 With a new name and brand for the first shop, they desperately needed a web presence that was their brand. 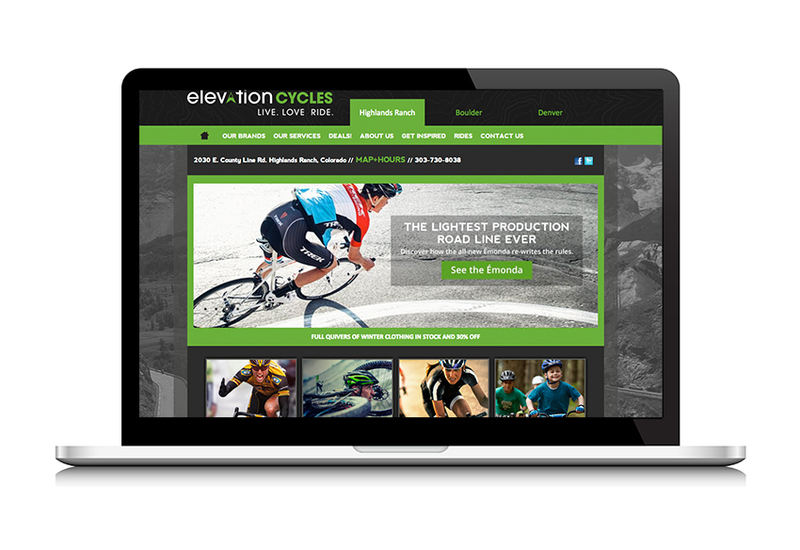 We spent a lot of time talking about the look and feel, how to get away from the look of the old brand and how to compete with local competitors. 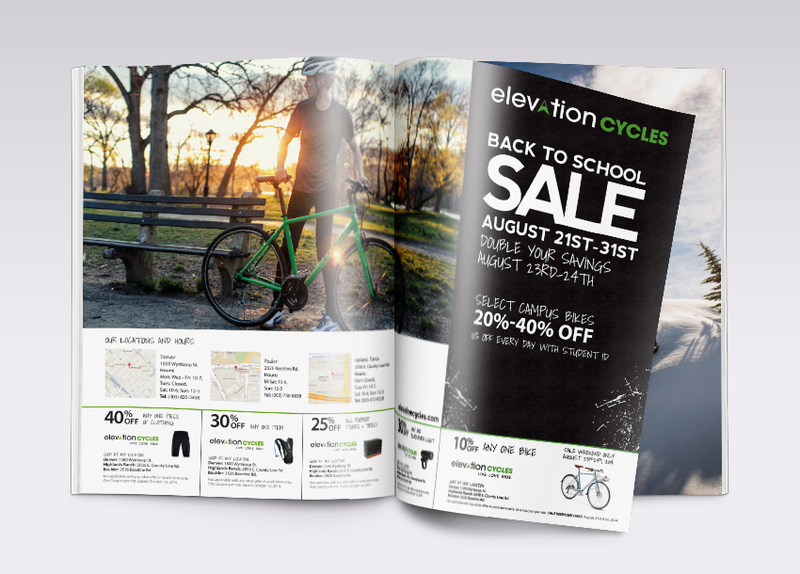 Together we developed a look that said "we love bikes and Colorado". 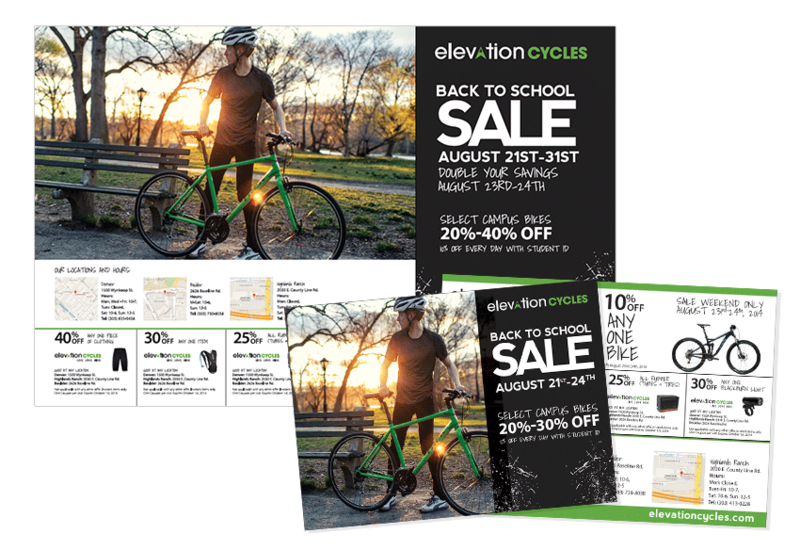 I continue to work with the stores on a monthly basis to help with maintaining the website and the marketing for both web, print, and social media.